We are nearing the end of Friday, so apologies that this post is late! Hopefully it will be enjoyable for you weekend warriors! By the way, did you see that we are almost at 200,000 classifications?! I am so impressed by this amazing group of citizen scientists that make Zooniverse projects a success, particularly this one. THANK YOU. We are going to use FFF to point out some amazing pictures that you guys have identified and called to our attention in the last week+, and also to clarify some confusion on a tricky category. This is a type of comb jelly, called a cydippid ctenophore. We think that this organism is Hormiphora californiensis or a relative. It has a egg shaped body with two tentacles, which are typically extended (for feeding), but also can be retracted into the sides of its body. 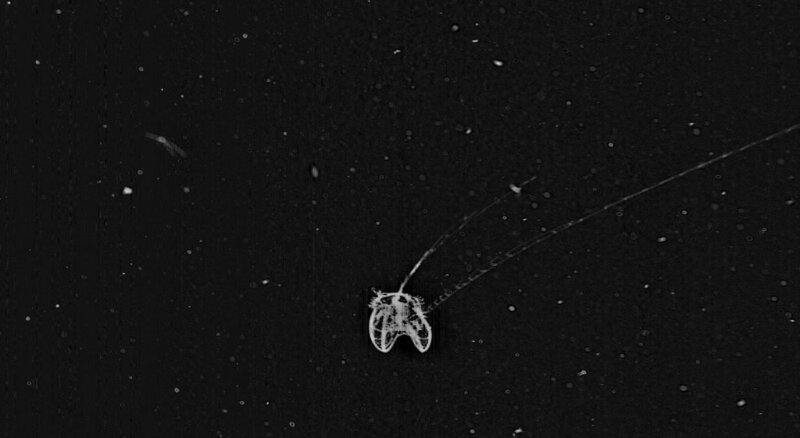 This is also a cydippid ctenophore – but it has its tentacles withdrawn. 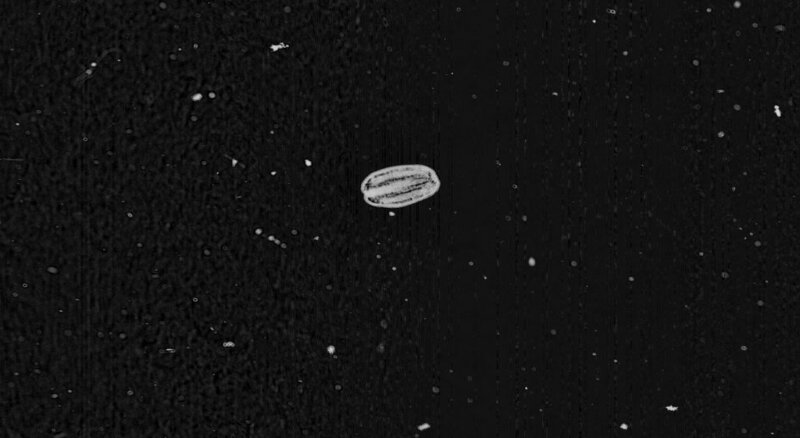 To add some more complication to the matter, there are also some lobate ctenophores, like the one below, whose young have a cydippid-like phase. 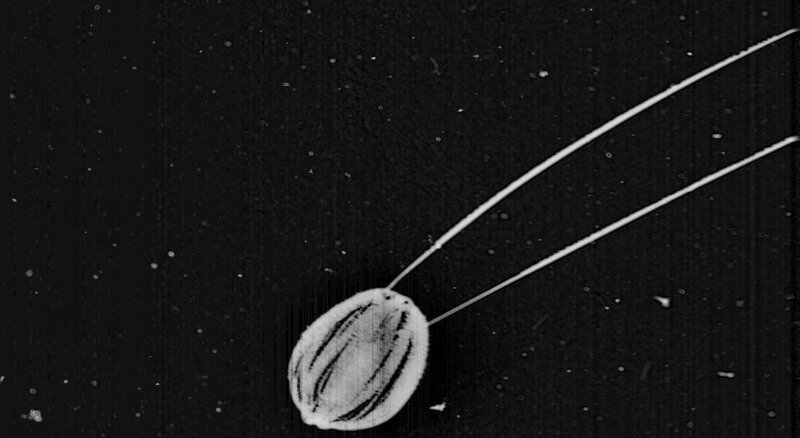 This is a beautiful shot of an adult lobate ctenophore, most likely the species Ocyropsis maculata. However, their young have this cydippid-like phrase. 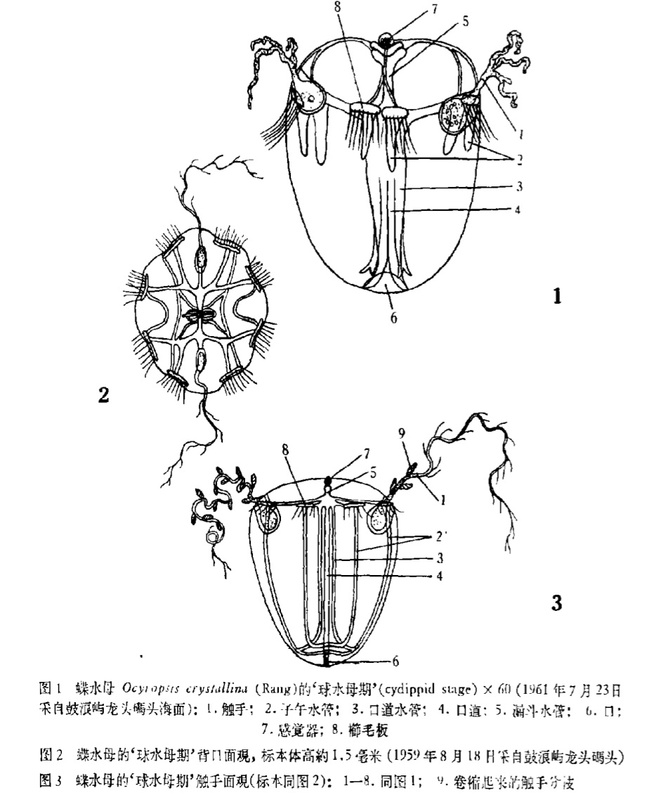 There has been one paper that published a drawing of the development of Ocyropsis. It was published in 1963. I had to email all around to get a copy, and when I receive it, I see that it’s in Chinese. Fortunately, they had great drawings that helped me. Officially, we want you to make this as a #lobate. 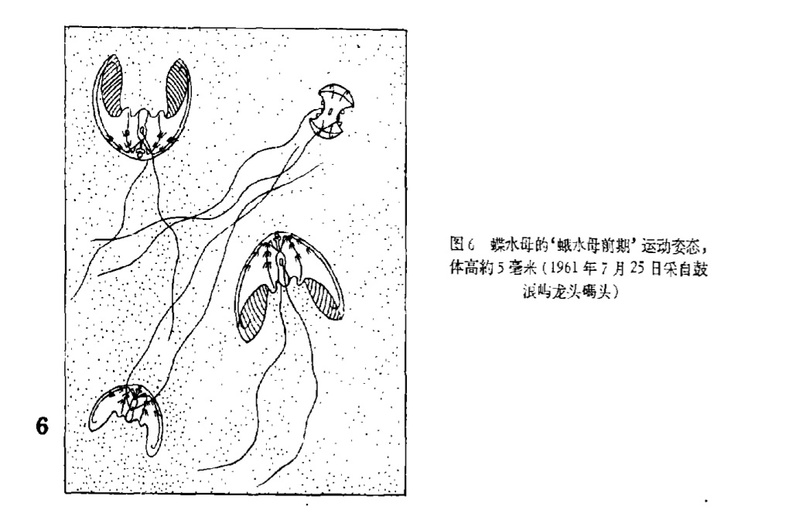 BUT, we also know that these are incredibly confusing because these ctenophores have tentacles. So, we understand if you get these mixed up. In our data cleanup, we will end up checking the classifications of the small cydippids and lobates to make sure that they are classified correctly. Also, please know that if you do mix these classifications up, we will at least know that it’s a ctenophore! That’s more information than we had previously. So, anything is helpful. THAT’S ALL FOLKS! Thanks for reading. Remember to tag images you want considered for Fantastic Finds Friday with the hashtag #FFF. And as always, thanks for classifying! We are currently at 191,968 classifications. So very close to 200,000! This entry was posted in Fantastic Finds, Plankton, Science and tagged ctenophores, cydippid, development, fantastic finds, FFF, larvae, lobate, plankton by jessicaluo. Bookmark the permalink. Jessica, i’ve just emailed you a translation of these chinese description. Awesome!! I just saw it! Thanks so much!